The No. 1 Wallpaper Adhesive brand is celebrating its 50th anniversary in the UK market. With everything you need to strip out or apply wallpaper, no wonder it’s approved and recommended by the British Painting and Decoration Association. Solvite has been wallpapering Britain since 1964 and offers a range of adhesives to meet every wallpaper type, plus a range of preparation products that provide a good foundation for a superior finish. 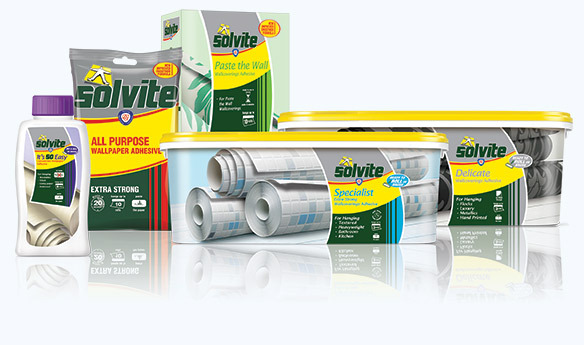 Solvite has developed a range of adhesives to suit every wallpapering task and match any level of wallpapering experience.